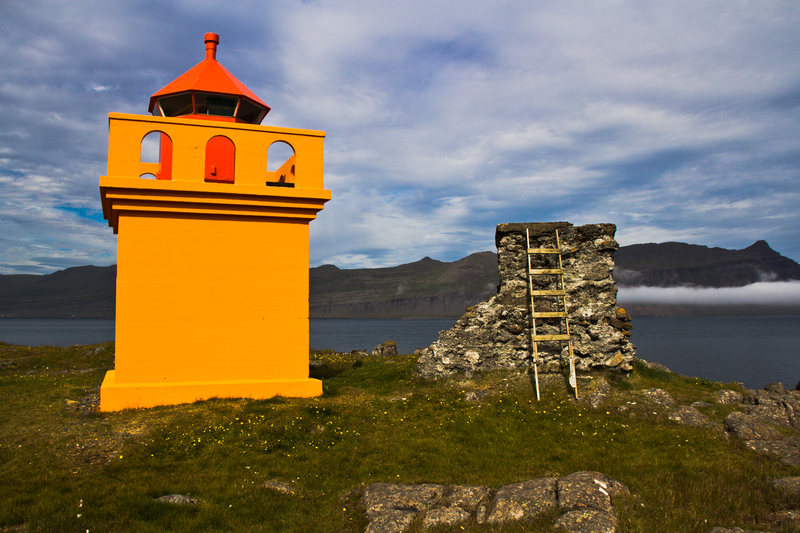 This lighthouse in Iceland's Eastfjords is so nicely colorful. The old lighthouse right next to is, is just left as a ruin and must serve as a view point for someone. The ladder has seen better days as well, though. This photo I liked so much that I made it the cover photo of one of my calendars that I am offering for sale since this week. If you want to know more about this calendar and my others, check the page up top saying products/calendars. I will keep you posted there!